Residents and Fellows receive our legal services at discounted rates. Our health care law practice is handled by attorney Marina Kirshenbaum, of counsel. Ms. Kirshenbaum has a particular interest and considerable amount of experience representing healthcare professionals. This interest arose when her husband had to deal with the complexities of medical and insurance contracts at the end of his medical residency. At present, Ms. Kirshenbaum, a frequent speaker at medical seminars, dedicates a lot of her work to reviewing medical employment contracts, partnership agreements and estate planning for both young and established physicians and dentists. She works directly with each client, communicates and clearly explains the complex state and federal regulations involved in each matter, and personally manages every detail of every case. Ms. Kirshenbaum fully understands the time constraints physicians face and often times is able to conduct the whole case via phone and e-mail. Whether your concern involves a non-compete agreement or a partnership agreement—call Francis D. McIntyre, PC at (908) 264-7220 or via e-mail, today. Our law offices are located in downtown Westfield, New Jersey within a short walk from the Westfield train station. We offer payment plans and flexible appointment hours for your convenience. 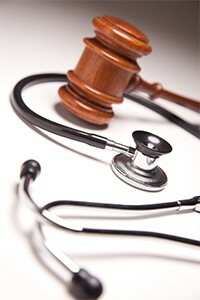 We are New Jersey Healthcare Lawyers proudly serving local and national engagements.